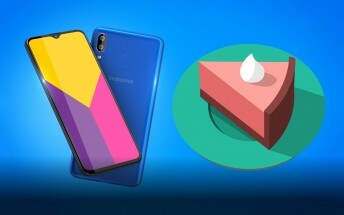 The Samsung Galaxy M20 will reportedly have the new One UI, even though it will run Android 8.1 Oreo at launch. In fact, the Pie update is months away – it will be released in August. Samsung published a notice with the Pie update schedule and it included the still-unofficial Galaxy M10 and M20. Unofficially, the M10 specs leaked through a manual. It will be powered by an Exynos 7870 chipset with 2/3GB of RAM. The M20 comes with an Exynos 7904 with 3/4GB of RAM and 32/64GB storage. These two (and perhaps a few others) will be unveiled at the end of the month. In India, they will be available exclusively online through Amazon and Samsung at prices of INR 10,000 and INR 15,000, respectively. As for other Samsungs hoping to get Pie, the queue starts with the Galaxy Note8 and S8 flagships, which will get it in February, then the Galaxy A-series in March and J-series in April.